Of all health conditions on record in the UK that have a claim to be one of the most common and under-supported, Diabetes has one of the strongest. According to Diabetes UK, Diabetes is ‘the fastest growing health threat facing our nation’, with over 3 million people suffering from the condition. The term ‘Diabetes’ however is really a general term, since the health condition itself refers to at least two variations, Type 1 and Type 2 diabetes. This means that the support required for people with diabetes is far from simple, and the ‘one size fits all’ support approach simply isn’t enough for each individual sufferer of the condition. Sadly, this has had a grievous effect on both the quality and longevity of people with diabetes, with life expectancy said to decrease by up to 10 years for Type 2 Diabetics and a horrifying 20 years for Type 1 Diabetics. However, despite its prevalence throughout the UK and worldwide, there still exists a severe deficit in the availability and quality of support and healthcare available to Diabetics, and like many other conditions, this sad truth owes its existence to the lingering lack of awareness of the condition. 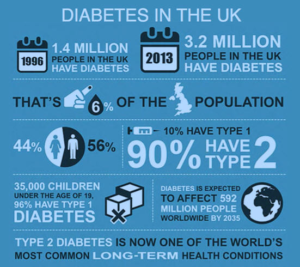 In the case of Diabetes, it is quite astounding how unawareness of the condition remains so great, since as stated earlier, it is the fastest growing health threat in the UK with 3.5 million diagnoses approximately. Yet far too few people even know what Diabetes is, let alone the hardships that face those who have it. In my own experience, I had never encountered anyone with Diabetes or even developed a rudimentary understanding of it until the age of 24. On this occasion I was fortunate enough taken on in a graduate internship by my old university. In short, the interns were tasked with making the sterling research carried out by students and professors known to the public through brief social media productions. Of my two assigned researchers, one of them was a Msc student by the name of Josh, who was himself a Type 2 diabetic if I recall correctly, and was taking part in a project designed to make a ground-breaking artificial pancreas (also developed by the university) compatible with exercise in those it was to be implanted. For me, meeting these guys on my internship was both uplifting and illuminating, and I believe it reinforces a truth that I believe is too often overlooked – that despite the hardships they face, with the correct support people with Diabetes can make great strides through the educational and employment spheres and make valuable contributions to the rest of society. In the case of education, Access2Learn is here to provide said support and make a positive difference to the studies of those with diabetes, allowing them to do the same for society. 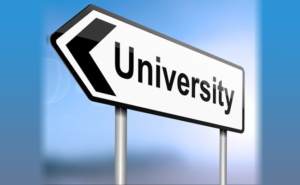 So if you are a student with diabetes, or you know someone who is and is thinking about or currently attending University, get in touch with Access2Learn to see whether DSA can help. Results Day – what next? So once again, A-level results day has come and gone. Some of you are at this moment rejoicing the success of your studies and are looking ahead starry-eyed towards the university and course of your dreams. Others have not been so fortunate, and are at this moment crushed with disappointment over missing those vital few extra points that would have resulted in getting into the university they wanted, or possibly not at all (yet!). Others still may fall into the same category as me, wondering “okay, I have my A-levels, what on Earth do I do now?”. To those that got the results they wanted and are now confidently off to university, a big if slightly envious congratulations to you … truth be told, the mere recollection of how I felt upon gazing at my mediocre results still makes me envious of those that did well. But for those that, like me, didn’t get what they wanted and are now worried for the future – take a breath and wipe those tears away, there’s still hope for you yet! I doubt there’s anything I could have said prior to results day that could have prepared you for that feeling … 8 years ago, when my own time came, I remember walking to that school feeling like I was walking to the gallows. I left feeling crushed … I had mediocre results and no idea of what to do. If you’d told me that, fast forward 8 years I’d be a university graduate and be working to support others through university, I probably would have looked at you like you’d just said Ramsay Bolton was a nice guy (for Game of Thrones fans). But it’s true, I didn’t get the A-levels I wanted and still made it to university where I had the best years of my life. And to those that left results day feeling disappointed – so can you, no matter who you are. So for you that didn’t get the results you wanted, you may well be off to your second or maybe third choice of university, in which case I feel for you but don’t be too upset – university is what you make of it after all. 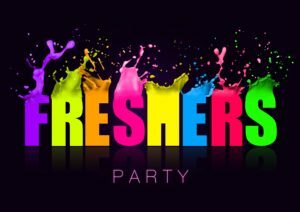 If you study hard, take part in the vibrant social life of Uni and take part in volunteering and societies, I can tell you that you will love every moment of it. But for those of you who now have to explore other options, believe me I know how you feel from personal experience – ironically, DMU wasn’t even one of my choices when I applied, but let that give you hope, because DMU actually turned out better than all 4 of my choices! For those of you who feel like a failure or feel hopeless, know this – there is still great potential in you. The fact that those universities couldn’t see that is their loss, not yours – some other university will be able to brag that you studied there! 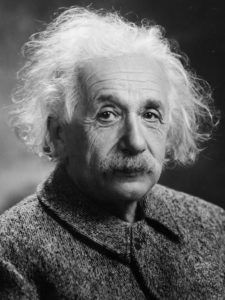 For those of you thinking that it is the downfall of your intended career path; don’t worry, no career has a straight career path; it may be that it takes you just a little longer to get into your intended field, for example, you may do an undergrad in something relatable to your intended course and then have to do a masters in the course you originally intended – it would take longer sure, but you’d still get there in the end! Also remember, plans change all the time anyway; what you may want now may well seem trivial later. But my point is this; don’t go giving up hope just yet! Now for some practical advice; the easiest option is Clearing, which is available to you via the UCAS website; I’d like to be able to give you some advice of clearing through experience, but sadly I can’t – because I never did it! (more on my mistake later) Still, most universities have posted comprehensive guides to the clearing process that you can all check out. Alternatively, if you’re willing to wait a bit longer, you can re-sit the final A-level year and try again, although if you do this, make sure it’s worth it at the end this time, because you really don’t want to waste a whole year – or two years actually, like I did! So if you are unsure of what to do now, as I was – make sure you do what I wish I had done, which is make use of the support available! I’d like to take this opportunity to apologise in advance for how many times you’ll see those words written in my blog, but I literally couldn’t overstate their importance. Speak to careers advisors if you’re not sure of a course, speak to disability advisors or charities – or Access2Learn! – if you suspect or have been diagnosed with a disability and want to know about support available to you. You’ll probably feel a lot more confident afterwards! Overall, my point is this – Results Day can be either a joyous occasion, or feel like the biggest disappointment of your young lives so far. To those of you who, like me, fall on the wrong side of those two outcomes, don’t give up just yet. If you think it’s the end, just remember – I didn’t get the grades I wanted either. But fast forward 8 years and I have graduated from a university I loved and now I have a job I love! The moral of the story – good things happen so long as you don’t give up! My name is Tom, Student Consultant with Access2Learn, and on behalf of our company, welcome to the first instalment of our blog and thank you very much in advance for taking the time to read it. So why write a blog? Glad you asked … although, technically you didn’t, but … anyway, my reasons for writing the blog are to acquaint you with A2L, what we have to offer and what makes us different. I also wish to discuss what life was like as a disabled student, while also providing advice on a number of different problems you might face, methods of organisation and study, how to cope with the depression that often accompanies studies … so on and so forth. I’m sure you get the idea. But anyway, back to me. 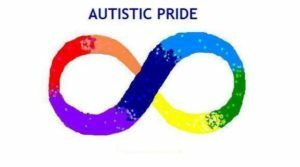 I am Autistic – for those of you not familiar, autism is primarily a social disability which affects social instincts and communication. Though it manifests itself in a number of ways and to varying degrees, so no two autistic people will be alike, for me the struggle to socialise makes my world a very lonely one. We also exhibit very narrow interests which are often very intense and may even border on obsession – for example, I could talk for hours about things like video games, the history of autism in the UK, the martial art Aikido and one or two other weird and wonderful topics, but if I were trying to hold a simple conversation about football results, Game of Thrones, or whatever the latest celebrity gossip is, I wouldn’t know up from down. Anyway, because of my autism, I was once one of the many students who have benefitted from the wondrous support made available through the Disabled Students Allowance, which allowed me to not only survive, but thrive during my university years. As far as the vast majority of autistic people in the UK go, I consider myself to be very lucky, although that is not to say that I haven’t worked extremely hard to get to this point, mind you. For one thing, I am lucky enough to be employed in a line of work that I find greatly fulfilling, when many people on the spectrum cannot find work at all. I also made it to university against all expectations, and had the best years of my life there. After three years, I graduated only a few marks away from getting a First Class Degree, which would have been the perfect way to finish, but the fact that I got a very strong 2:1 in no way takes away from the joy my uni days brought to me. Sadly, I’m not all lucky … I was unfortunate enough to have to go through my mandatory education years without a firm diagnosis of autism. For many years, my parents struggled to get me diagnosed in order to get the support I need, but sadly their efforts were in vain. As a result, my childhood and developmental years were the worst of my entire life. The bullying I faced at school was ceaseless and utterly relentless; insults and mockery were thrown my way every day, along with the occasional fist and even stones. I felt as though I couldn’t complain to my teachers, due to their apparent lack of understanding or sympathy. In this regard, I am hardly unique – in fact, children at school with autism are at least twice as likely to suffer from routine bullying as other children. Even though I had no diagnosis, the difference of behaviour and socialisation skills acted like a beacon for every bully in my school. That said, it’s no wonder why we’re twice as susceptible to bullying. A study carried out by the Institute of Education in 2014 suggests that the same statistics are true for all students with special educational needs. The National Autistic Society claims that at least 34% of children with autism say that the worst thing about school is the bullying. Given these figures, is it really any wonder why disability awareness is an on-going battle? Still, you already know by now that eventually my story got better … when I got my DSA assessment, it was first time I’d ever met anyone who really understood … something I’d written off as a lost cause years ago. When I went to De Montfort University, the disability support team there went out of their way to help me, and together with my DSA-funded equipment and especially my mentors from the National Autistic Society, one of whom became the best friend I’ve ever known, they made my uni years the best of my life and made a veritable transformation of my entire being possible, from the ‘weird kid’ at school with no friends and no hope to university-educated working man. So I suppose the point of this blog is this – like Martin Luther King Jr, I have a dream. That no other disabled student, autistic or otherwise, will ever have to endure what I did at school. That not only will there one day be awareness of each disability and their needs, but acceptance of who they are and appreciation of what they have to offer. That the ‘disability divide’ as I have taken to calling it, will one day be little more than a memory. That’s what I really want out of life, and I think you, dear reader, can tell by now why it’s such a personal issue for me. It’s what I worked for during my time at university as Founder and Chairman of the Disabled Students Society, my volunteering career and now with Access2learn in my Student Consultant role. And in the meantime, I wish to encourage all students, disabled and otherwise, diagnosed or not, to stand with us to help make this desire a reality. Thanks again for reading my blog, and if you did indeed enjoy it, there’s more on the way!